As an Elvis fan – as well as being an avid reader – I have an arm load of books about the man. The ones I have enjoyed the most are the ones written by those who actually knew him. 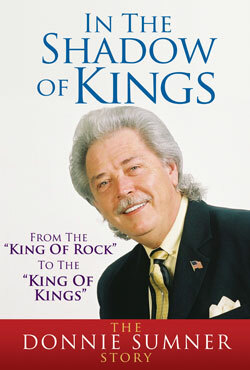 The latest book in that category of Elvis related books is In The Shadow of Kingsby Donnie Sumner who sang back-up for the King up until less than a year before his death. While Kings does share a lot of stories about his relationship with – and stories about – Elvis, this book is Donnie Sumner’s story. It’s written in the southern, folksy tone of a grandpa sharing stories with his grandkids which is exactly why Sumner wrote the book. 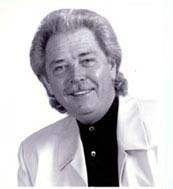 Sumner tells of his upbringing in a Pentecostal pastor’s home, joining his famous southern gospel singing uncle, J.D. Sumner, in his quartet, The Stamps and how that led to working with Elvis Presley. Sumner shares the good, the bad and the ugly of his own personal life – from the excitement and fame of singing with Elvis to Sumner’s personal battle with drugs and how he overcame his additions over 35 years ago. 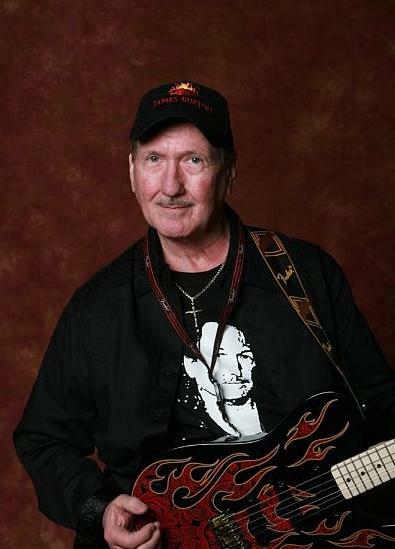 And, yet while he shares those warts-and-all stories about himself, he tells only some of the many, many positive memories of working with Elvis. Make no mistake about it: This is not a whitewashed view of Elvis as seen through rose-colored glasses. It’s the story of a dear friend as told by a dear friend who has the class and integrity of sharing only good memories of his late friend. The book is comprised of thirty-seven short chapters covering 159 pages (not counting photos). At the end of each chapter, witty sayings and relative Scriptures are shared to drive a finer point to the meaning of Sumner’s stories. Presley fans will definitely want this book as part of their reading library as will those who love southern gospel quartet music and stories by and about people who have successfully overcome addictions and are helping others do the same. Catch the Boomerocity interview with Donnie here.